Weather will brighten up in Georgia from 16 May. Stable, dry weather is expected in Georgia till 19 May. The temperature will be 25 degrees in eastern Georgia, 27 degrees in western Georgia. 22-23 degrees are forecasted in Tbilisi. It was snowing in Gudauri last night. 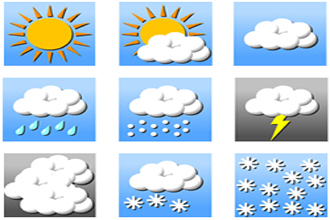 Synopticians presume weather will brighten up in mountainous regions from today.